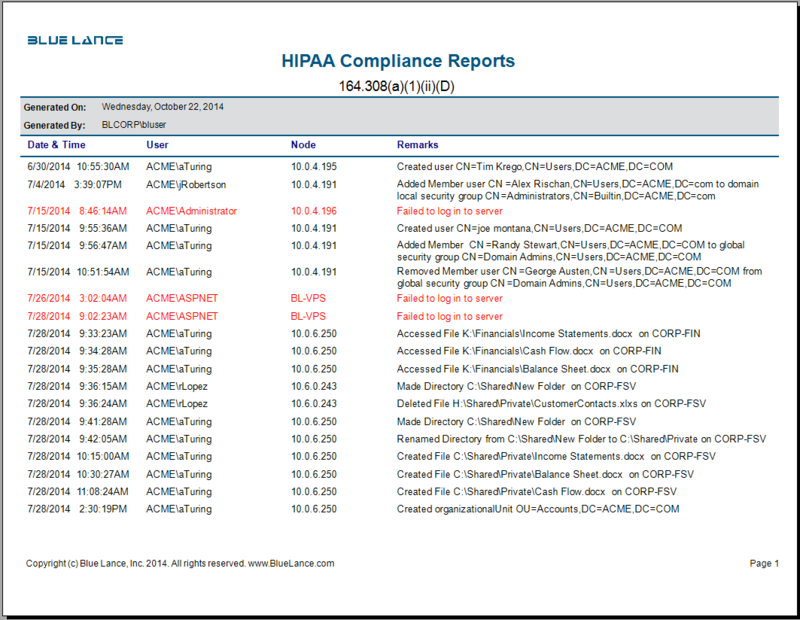 Make reporting for regulatory compliance painless and cost effective. 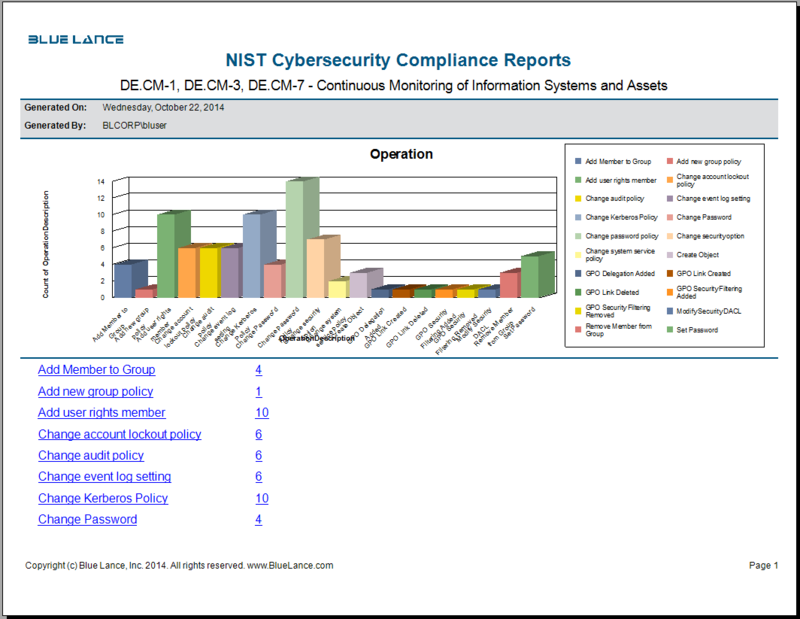 LT Auditor+ 2013 Compliance Reporting automates the reporting for information and internal controls for critical assets important to any organization. 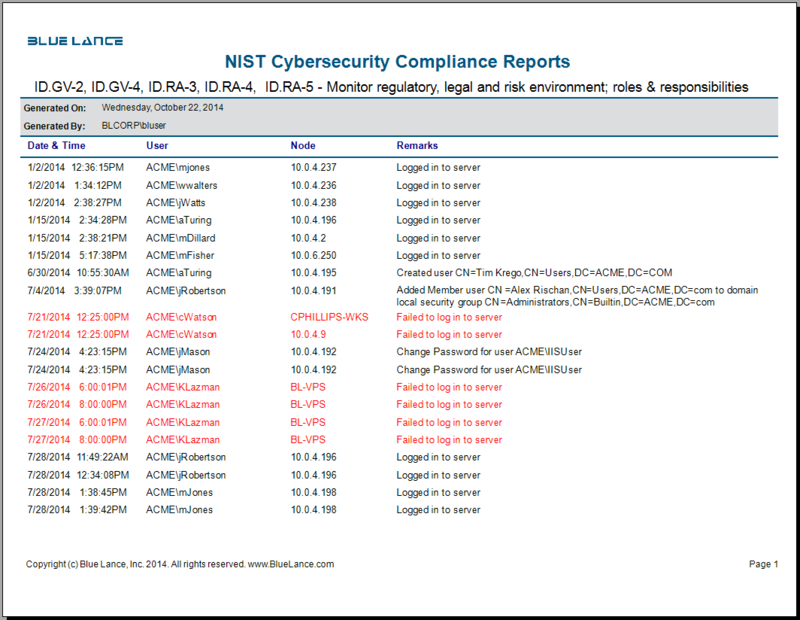 Compliance mapping for regulations, standards and frameworks have been built into LT Auditor+ 2013 to produce streamlined reliable reports that provide leadership with confidence in the integrity of business processes and information. 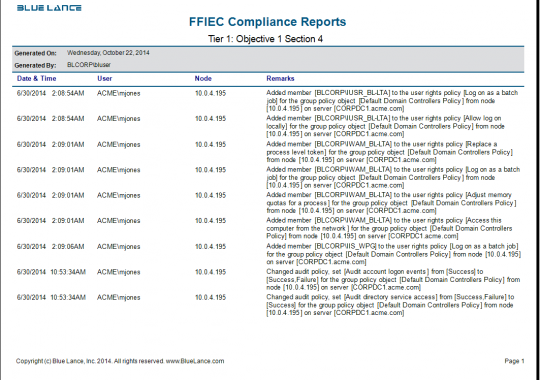 LT Auditor+ 2013 Compliance Reports maps audit data collected by LT Auditor+ 2013 products to the following statutory regulations, standards and frameworks. 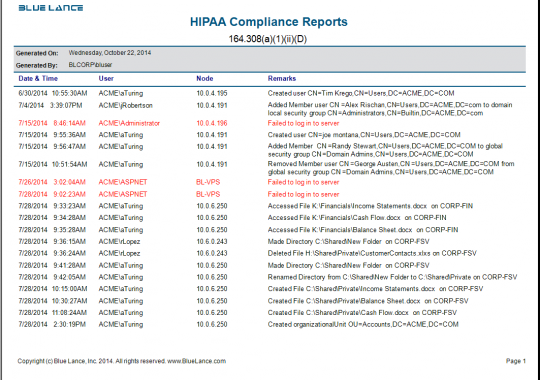 HIPAA – Health Insurance Portability and Accountability Act. 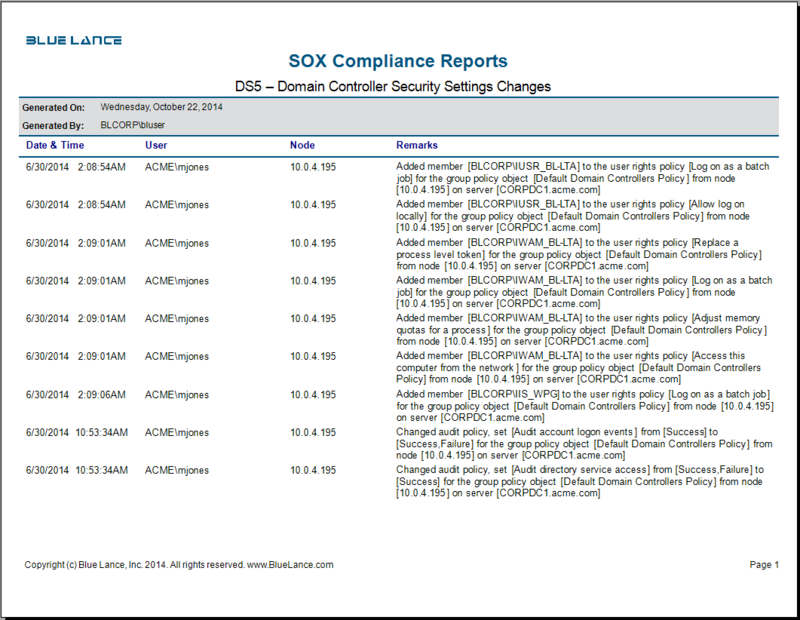 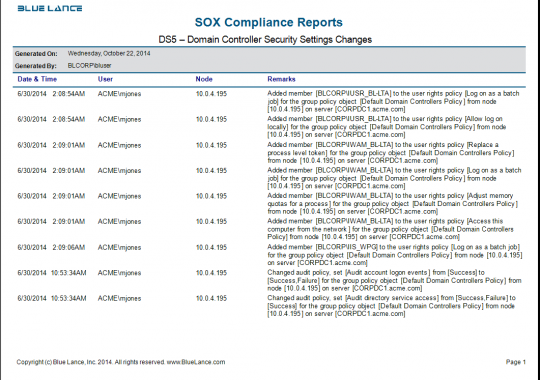 SOX – Sarbanes Oxley Act. 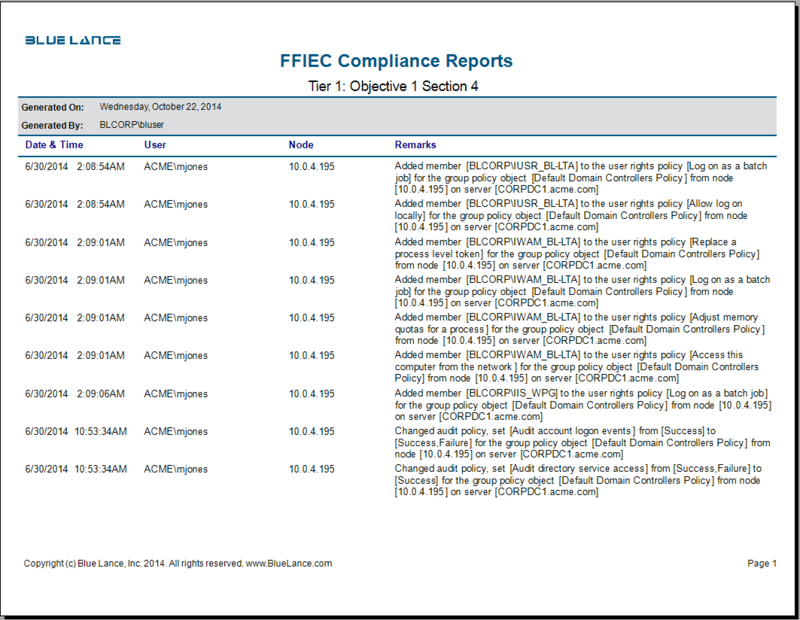 FFIEC – Federal Financial Institutions Examiners Council. 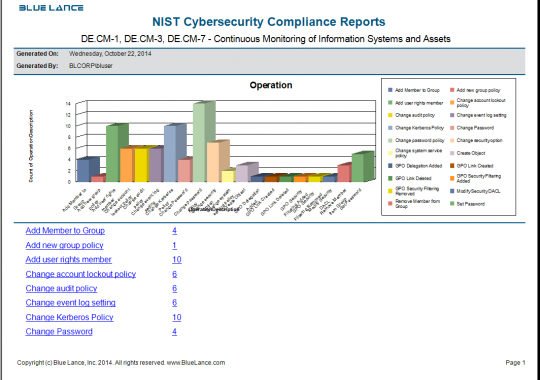 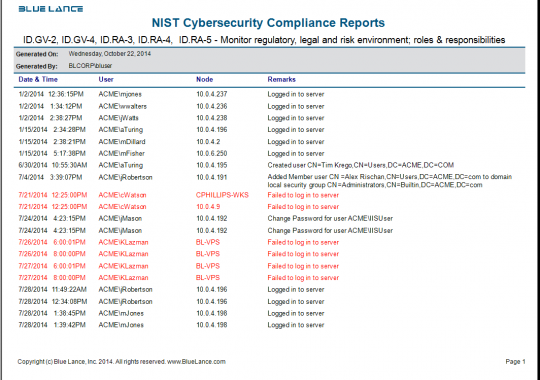 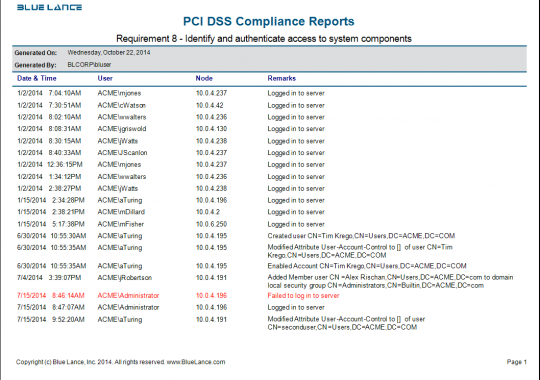 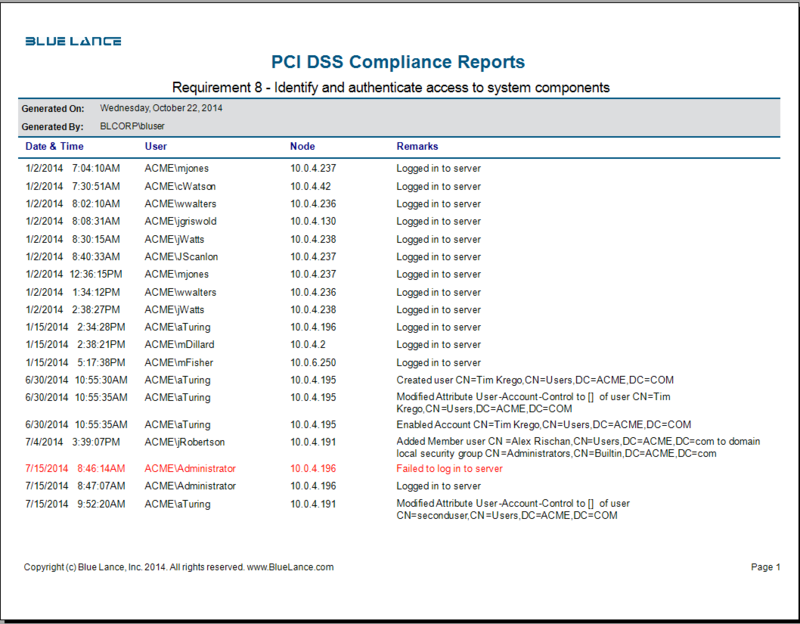 PCI-DSS – Payment Card Industry Data Security Standard.